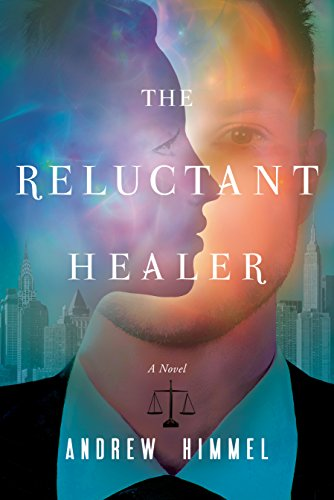 The Reluctant Healer tells the story of a young attorney who is torn between his life-long skepticism of alternative views and the unexpected evidence that he has the spiritual ability to heal others. Will, a logical, left-brained New York City lawyer, leads a cautious, conventional life. But when he meets Erica, a beautiful, unkempt and intense energy healer, he becomes troubled not only by her unorthodox endeavors, but also by the limitations of his own existence. Amidst this turmoil, Will is startled to discover that he may possess metaphysical gifts of healing that confront the narrow doctrines of his regulated life. Will is a realistic character with imperfections, a sense of humor, and skepticism of the supernatural. Even as he questions much of the spiritual world, he struggles internally with phenomena that challenge both his sense of self and his orderly perspective. Will’s love for Erica, the exposure to her world, and his newfound powers place his life in a state of uncertainty, teetering between disruption and liberation. Andrew Himmel practices law in New York City and is a founding partner of Himmel & Bernstein, LLP, located in the Flatiron District. Prior to his legal career, Mr. Himmel worked in book publishing for The Dial Press, Harper & Row and William Morrow. While at William Morrow, Mr. Himmel worked for the veteran editor Harvey Ginsberg, whose writers included Saul Bellow and John Irving. Mr. Himmel lives in Manhattan with his wife, the universal energy healer Michele LaGamba-Himmel. Their daughter, Nicole, is a writer, who also lives in Manhattan. Visit https://andrewhimmel.com/ for more information. This entry was posted in Uncategorized and tagged Andrew Himmel, attorney, author, law practice, lawyer, life, love, story, Today's Honoree. Bookmark the permalink.